How travel and empty wall space led this woman to create an outlet for street artists. When Stamy Paul started traveling for work over a decade ago, she fell in love with urban art in all its forms — including graffiti. ”It was really fascinating to me because it was evident in every culture and country I visited,” Paul says. That’s why she was determined to figure out how to bring it into her own home. Unfortunately that was easier said than done. 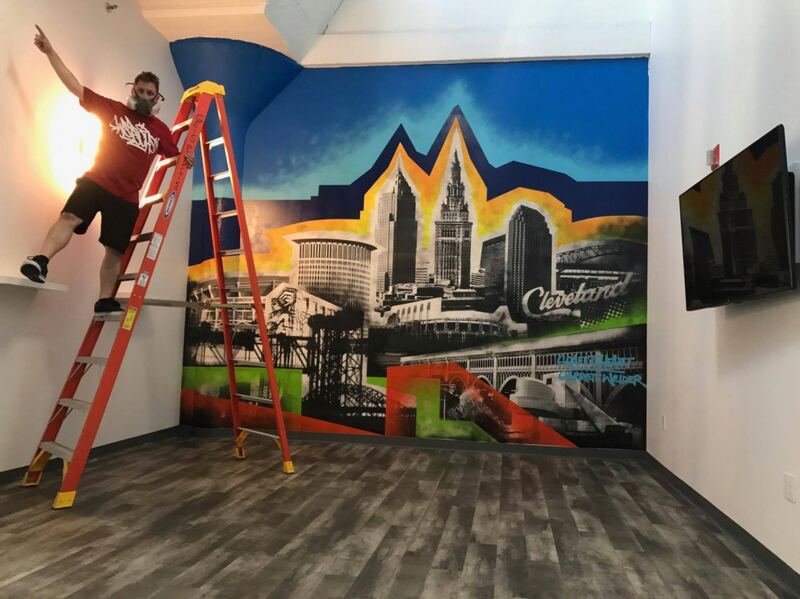 Paul scoured her hometown of Cleveland, Ohio, for a local graffiti artist to paint a mural in her house, but even though the city’s covered in graffiti, she couldn’t find anyone. 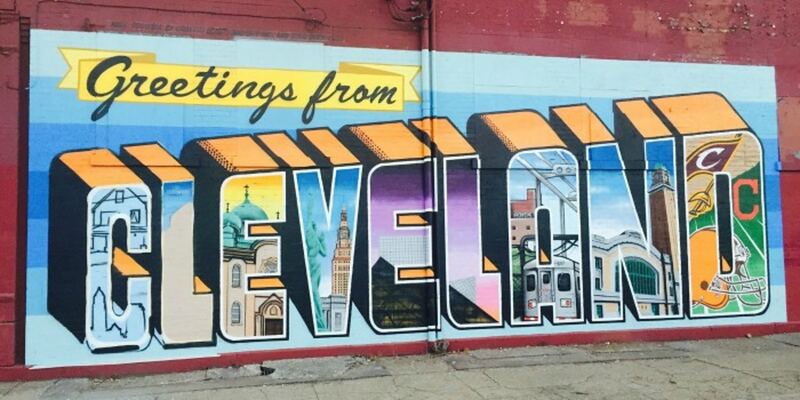 It seemed that graffiti simply wasn’t an art form that people often commissioned in Cleveland. Sure the artists were out there, but they weren’t profiting from their work. After all, it’s rare for graffiti artists to be counted in the more mainstream art world. But Paul decided to help change that. 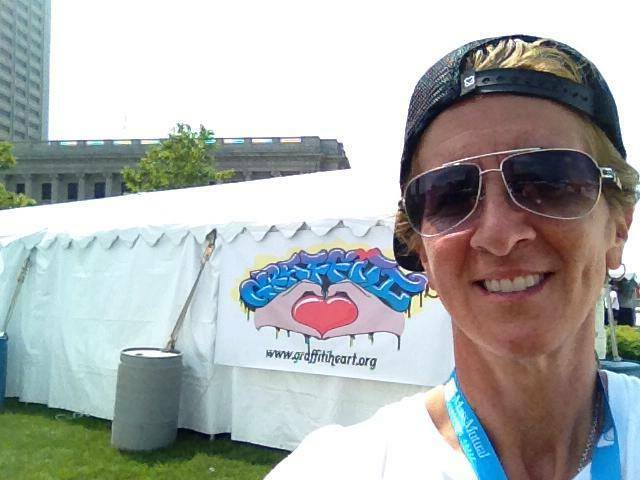 In 2013, she started Graffiti HeArt — a nonprofit dedicated to promoting graffiti and street art through urban community revitalization via volunteer artists. A portion of project commissions as well as donations go toward funding education opportunities for underserved kids who’re interested in pursuing art as a profession. The idea is to show these kids that art, including graffiti art, can not only improve public spaces, but also lead to legitimate careers. Graffiti HeArt has a partnership with the Cleveland Institute of Art Pre-college Program — a two-week intensive course designed to help kids with sights on a career in the arts hone their skills and build up their portfolio. Paul says a huge percentage of the kids who attend the program go on to pursue art in college. In order to help them continue on that trajectory after they graduate, Graffiti HeArt is developing an internship program where young artists will be able to shadow more established artists as they create commissioned work. Graffiti HeArt is showing these aspiring artists there can be a future in graffiti — it just starts with exposure. 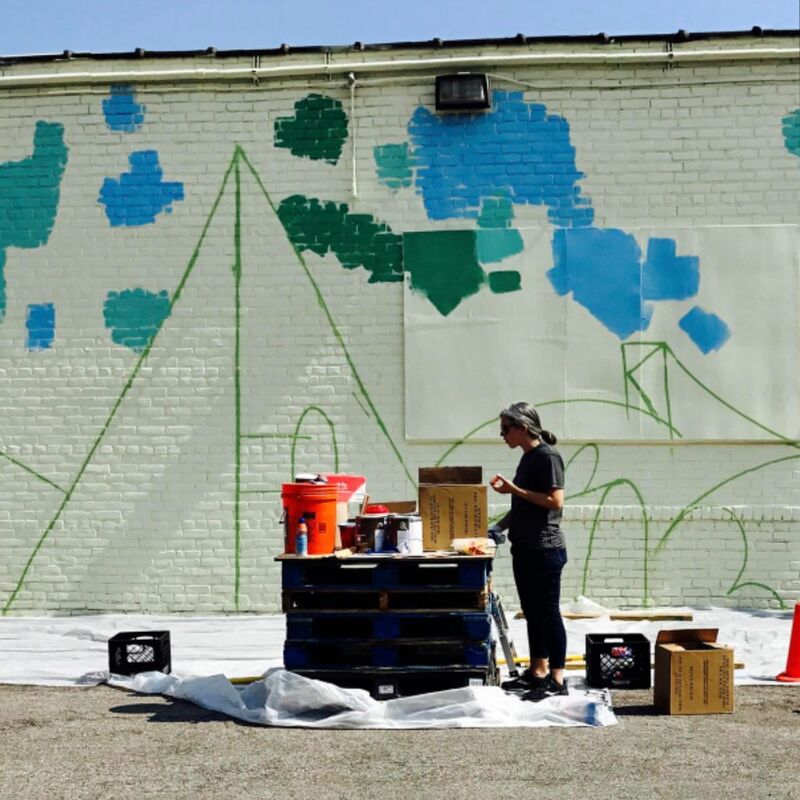 Even though the artists mainly create murals on a volunteer basis, they’re work is being elevated not only through the nonprofit’s mission, but because it’s improving the local community. Paul credits the organization’s glowing reputation with the fact that they always upheld their mission from the get-go. ”I think [the artists] saw that what we said we were going to do, not only did we do it, but we were truly in it for the artists, the art, and the youth.” What’s more, the community loves the art these artists make. That’s why they’re getting to work on bigger and cooler projects. 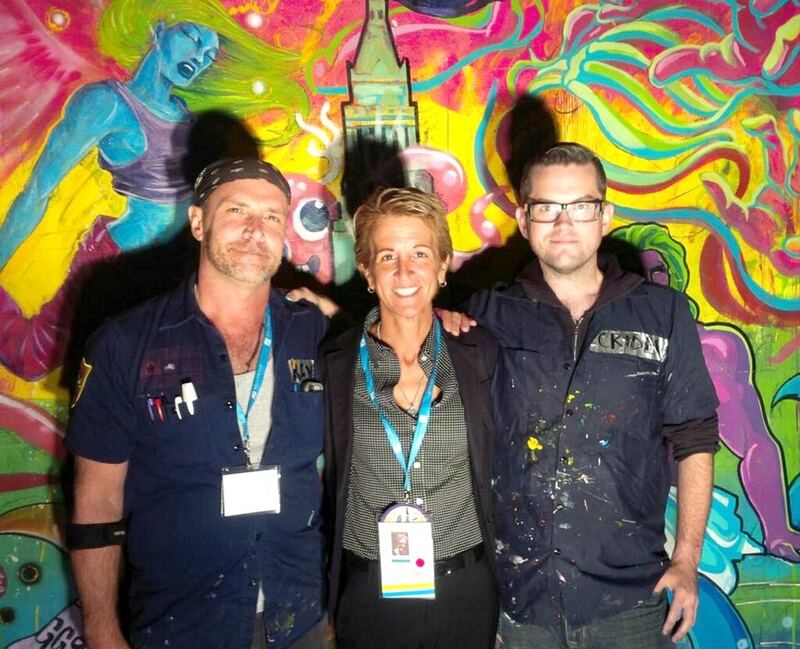 Their first gig was creating the sole art installation at the 2014 Gay Games in Cleveland. 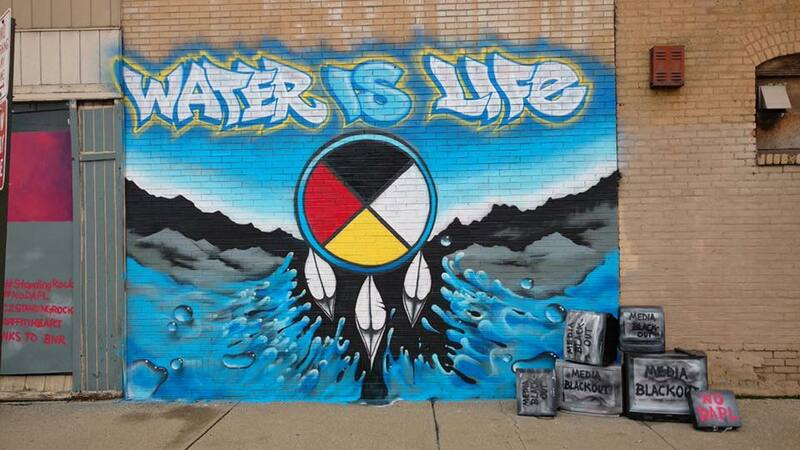 A few of their artists made a number of interactive graffiti and giant murals for the occasion. Today, they’re about to embark on a huge mural project in Cayey, Puerto Rico, as part of the revitalization movement after Hurricane Maria. Participating artists will not only create street art, they’ll work with students from the nearby arts college, bolstering community involvement and inspiring the next generation of creators. The collaboration all started through a reach out on social media. Now Paul’s in talks with the mayor of Cayey to make sure this project goes off without a hitch. ”We’re working with a lot of strangers who are now friends,” she says. Having her mission welcomed by a community in dire need of inspiration is a huge deal for Paul. She’s seeing the stigma surrounding graffiti be stripped away firsthand. However, she hopes the art form retains some of its rebelliousness. After all, that’s what captured her heart in first place. ”The fact that graffiti is gritty, it is contentious. There’s a lot of friction with it — that’s what makes it exciting.” The more prevalent it is above ground, though, the more the stigmas surrounding it fall by the wayside, which is Paul’s ultimate goal. The more art Graffiti HeArt puts out there, the clearer the path from street artist to professional artist will become for future generations. That said, they need your help in order for them to continue doing what they do. Please consider donating to the Puerto Rico project or the organization as a whole, so they can keep inspiring communities and aspiring artists. So impressed with your dedication to Cleveland and providing opportunities for local talents to be acknowledgef for their skills. I’ve often taken Rapid downtown and wondered who these amazing artists are. What a wonderful way to showcase all that’s amazing about our home town. I visited with Ann Clark recently, we had such a great time catching up. I told her when she visits Cleveland, we should all get together. I’d to hear more about your work, maybe even network for some of my students. I teach in the Lakewood City School District. Thank you, Diane! Appreciate your comments!